Home Politics & Governance Is that Wing Commander Abhinandan Varthaman supporting BJP? Is that Wing Commander Abhinandan Varthaman supporting BJP? 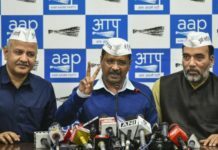 A viral post on Facebook claims that Wing Commander Abhinandan Varthaman has openly come out in support of the Bharatiya Janata Party and voted for the party in the ongoing Lok Sabha election. 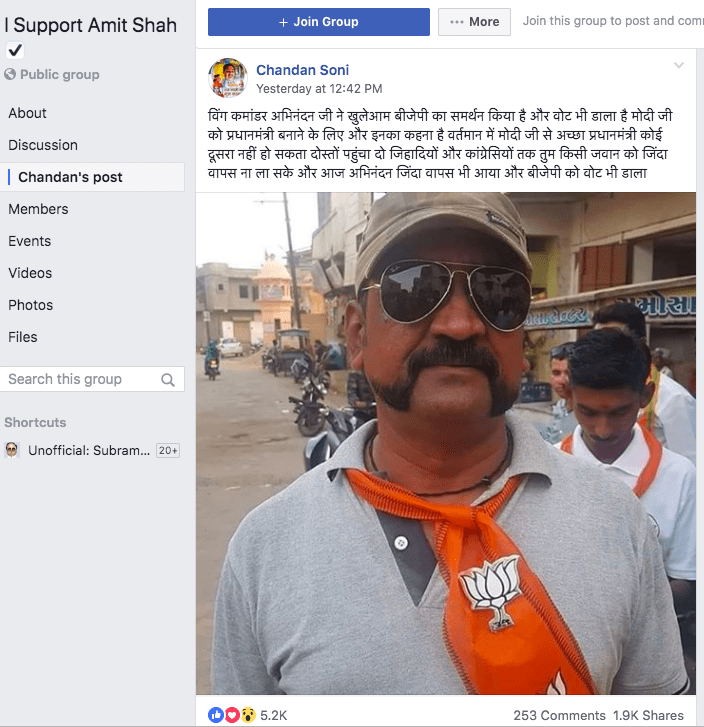 The post has a photograph of a person who remebles Wing Commander Varthaman, and is seen sporting a saffron scarf with the BJP symbol imprinted on it. Varthaman shot to national prominence when his plane was shot down in a dogfight with a Pakistan Air Force jet. He spent three days in captivity before Pakistan returned him. 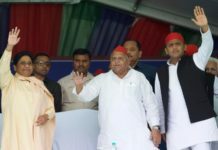 Many BJP supporting pages and groups shared the picture, it with an identical narrative. 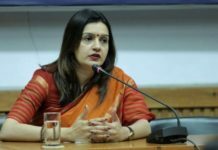 However, the truth is that any claim which asserts that a serving officer of the Indian Air Force is actively campaigning for a political party is false. Under the Air Force Rules, 1969, IAF personnel are not permitted to take part in political activities. This excerpt from the Manual of Air Force Law is available on the website of the Ministry of Defence. Let us look at the two pictures and compare Wing Commander Abhinandan Varthaman with the picture of the man with the saffron scarf. There is little similarity other than the handlebar moustache. The eyes and hair of the man purported to be Abhinandan are hidden by glasses and cap, but the following differences are clearly discernible. 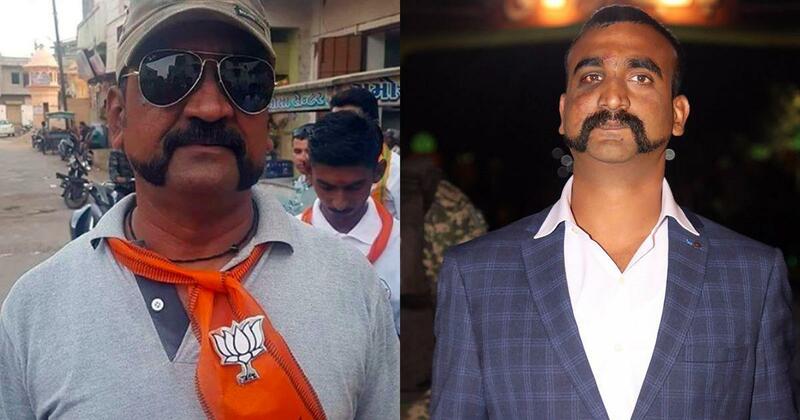 1) Abhinandan has a mole just under his lips which the man in the saffron scarf doesn’t. 2) The man on the right has a mole below his right eye, which is missing on Abhinandan’s face. 3) Abhinandan has a marked horizontal line under the chin which is absent in the man in saffron. Other than the facial features, if we look carefully at the posture, the man in the BJP scarf has drooping shoulders. This is unlike Varthaman’s posture. Another point worth noting is that Tamil Nadu, where Wing Commander Abhinandan Varthaman is most probably registered as a voter, did not go to the polls in the first phase of the elections that concluded on April 11. This claim was earlier debunked by Boomlive . 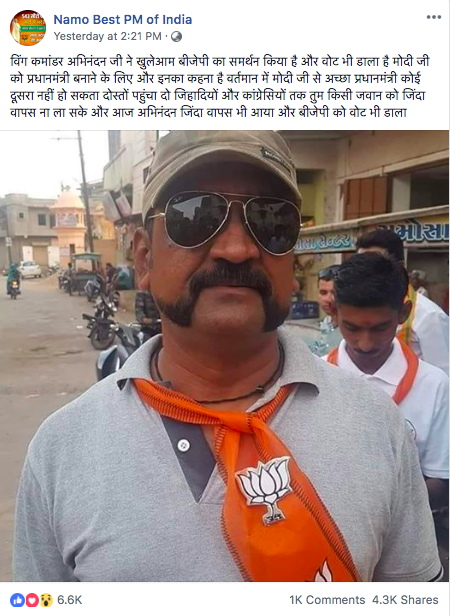 This coordinated attempt by pro-BJP Facebook pages to portray a serving officer of the Indian Air Force as actively campaigning for the party is a clear effort to mislead voters.